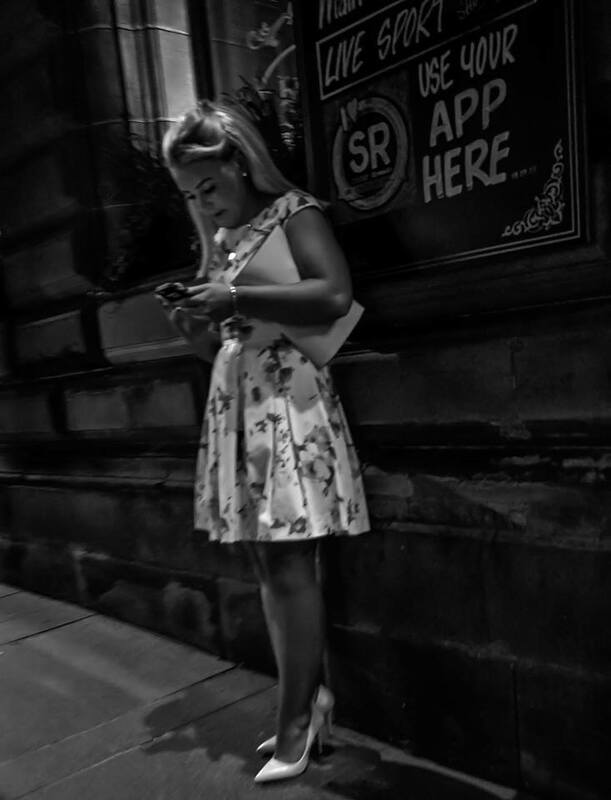 StreetsNBeats: Wow Theresa, I truly adore your candid street shots. Could you please tell our readers about yourself and what made you turn to photography? Groth: I cannot identify one point that inspired me to become a photographer. It was more like a series of events that contributed to my involvement with photography. I’m passionate about all arts and for thinking creatively. I’m a visual artist! 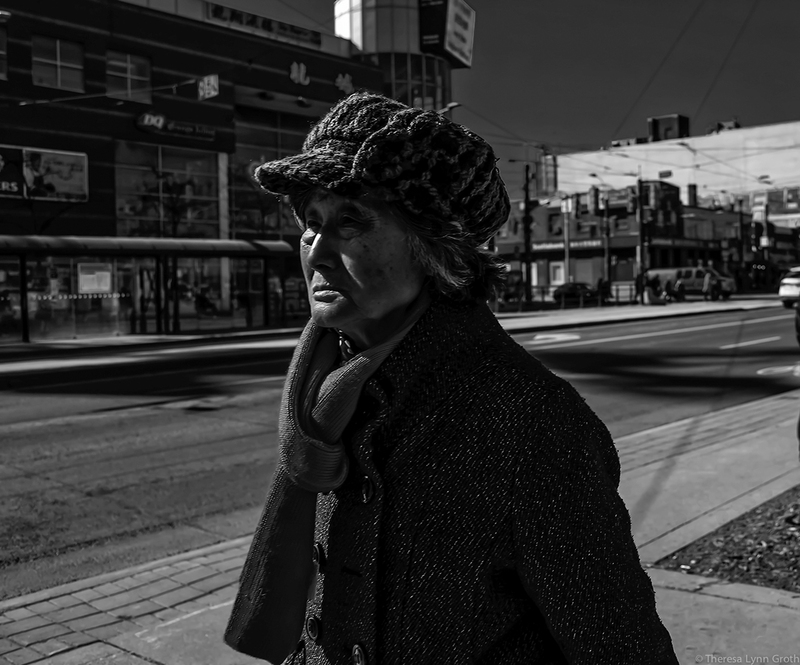 Photography, especially street photography, has become a spontaneous and exciting way of expressing my own creativity by shooting and interacting with what I see in the instances of life I come across. It connects me with these myriad moments and makes the ordinary become special. I know that it has become a bit of a passion for me because when I stay away from it too long, for even just a break, I feel there’s a part of me missing. Photography for me is a way to express the beauty of the world as I see it. We always had a camera in the house, my mother like to record everything. I also read a lot of fashion magazines and was always drawn to the images. My mother was always encouraging my love for the creative arts. But it was five years ago my dear friend encouraged me to get another camera and start shooting again. Picking up a camera was the best thing I ever did. It has opened a whole new world for me. 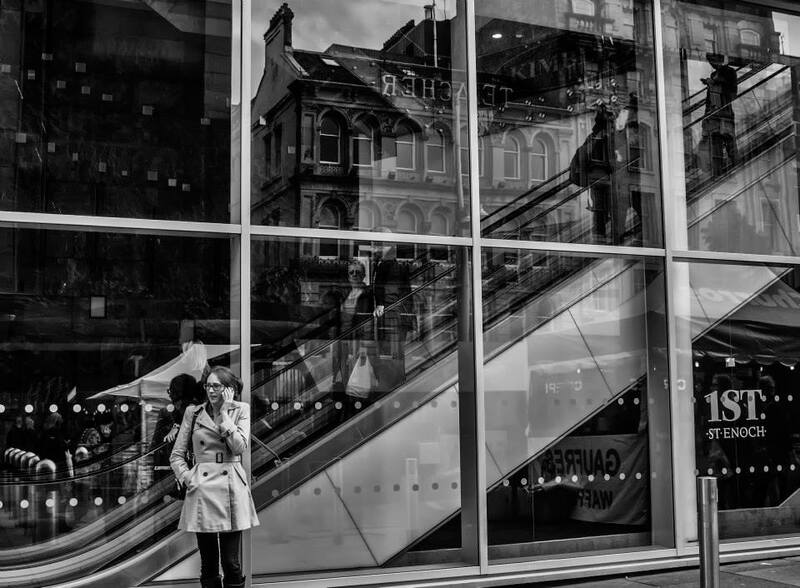 As for my start in Street Photography, this happened three years ago while on a trip to Glasgow, Scotland. 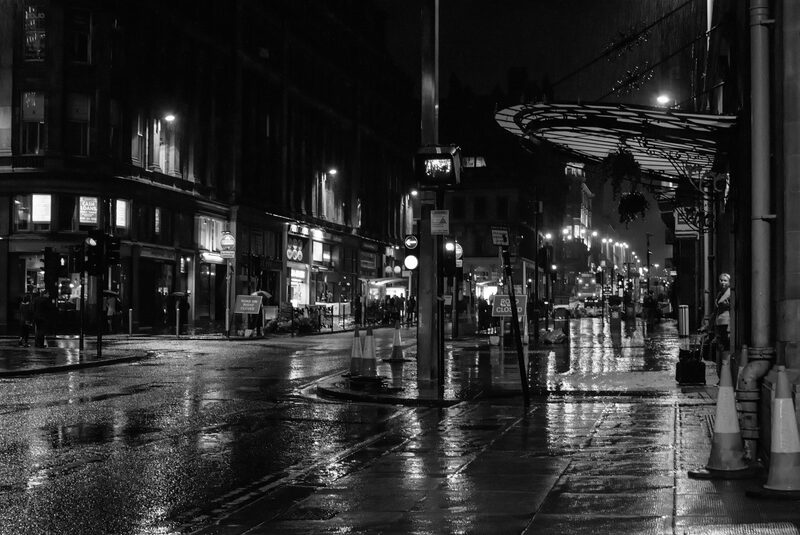 I fell in love with the streets of Glasgow. 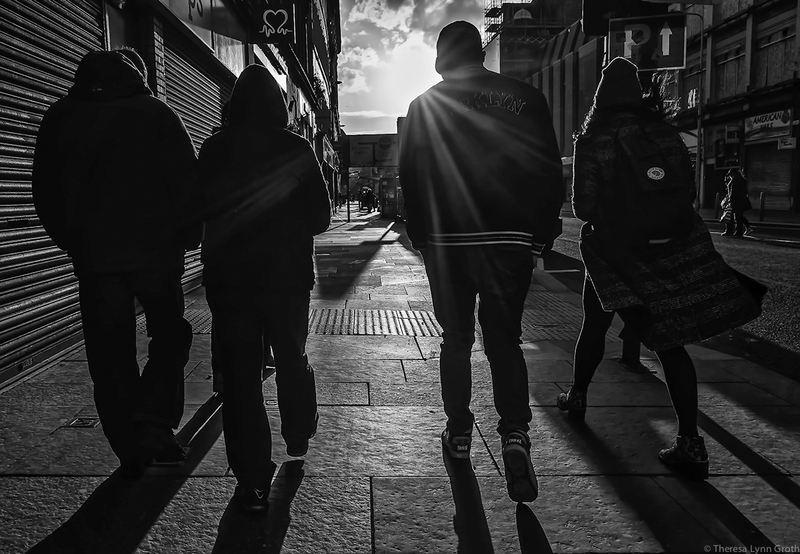 StreetsNBeats: I absolutely loved your photos of Glasgow. It made me want to pick up and just, go! I couldn’t help but notice that your photography is mainly focused on black and white. What is it about that style that you like? 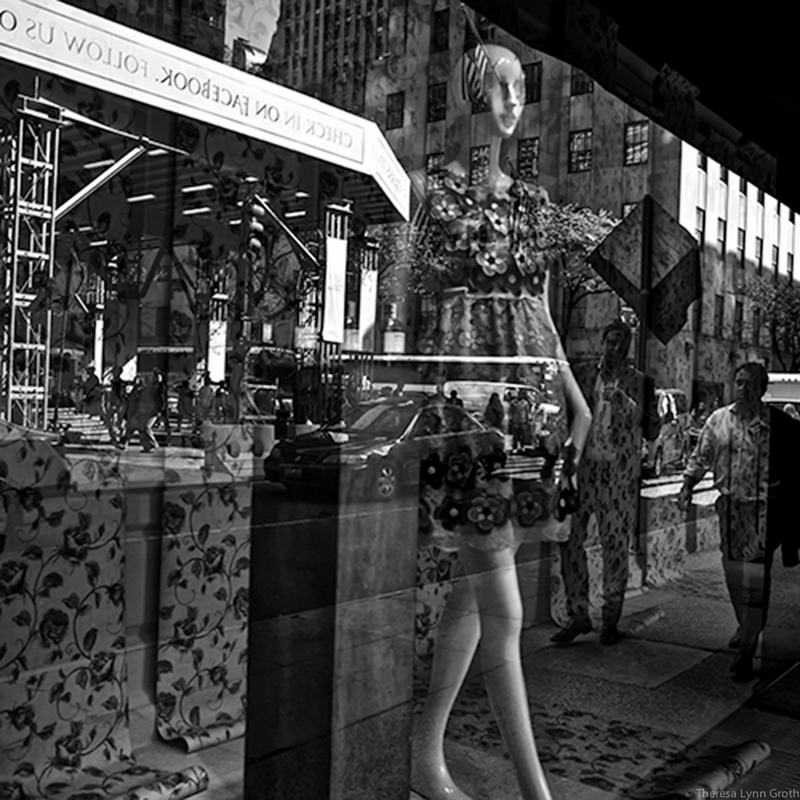 Groth: I appreciate the visual impact and elegance of black and white photography. I feel that with black and white photography, I can control moods and that I can highlight details I normally would not see in colour. I also feel that black and white photography is a technique that can enhance my ability to tell a story through imagery. 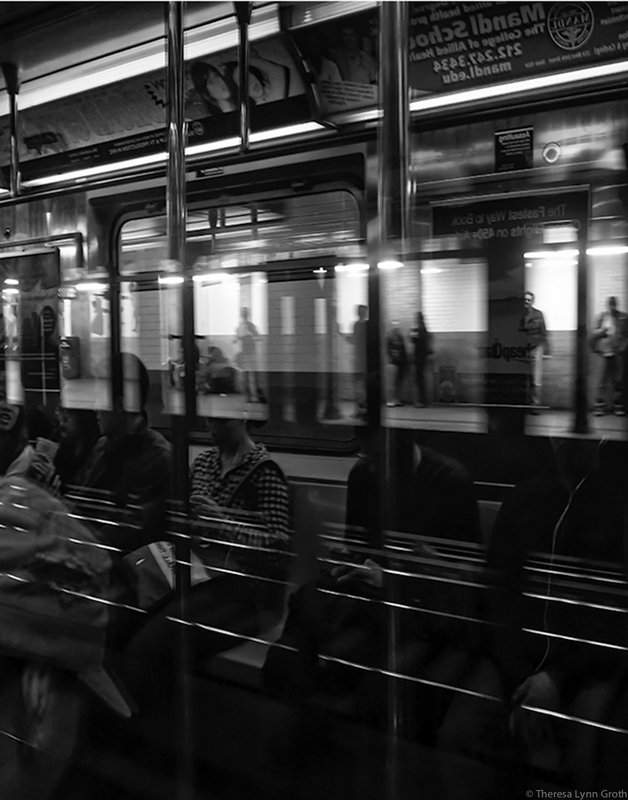 StreetsNBeats: I can see how your use of black and white enhances the image to recreate a story. But recently, you have been adding some colour to your photos. How come the change? Groth: I have been experimenting with some colour because someone I look up to wants me to expand my skills. StreetsNBeats: Well I totally believe in growth and changing it up every once and awhile, too! I just need to go back to ask you, what was Scotland like? Do you see any differences between our countries? Groth: I have to confess I’ve fallen hopelessly in love with Scotland, especially the city of Glasgow having traveled there seven times often for servals weeks. I have always be fascinated with Scotland because of my family history. Once there I fell in love with the culture. I really don’t see a lot of differences between our countries but personally I that Glasgow has stolen my heart. There is an expression, “Where we love is home – home that our feet may leave, but not our hearts.” – Oliver Wendell Holmes, Sr. I connect to that. StreetsNBeats: I understand what you mean. I feel that way very much so about Montreal. I am sure our readers are curious as to what do you plan to do next? Groth: Well, I’m working on organizing some exhibitions local and internationally. As far as where I see my work in five years? I try not to look that far ahead! I try to focus on my work in the moment! StreetsNBeats: That truly is sound advise! I can’t help but wonder, what are your Top 5 Bucket List items? I want to do an exhibit in home country. That is important to me. 2. I would like to do a solo exhibit in Glasgow. 3. I would like to do a solo exhibit in NYC. 4. Someday, I would like to visit Hong Kong. 5. OH, and I also want to visit Japan! 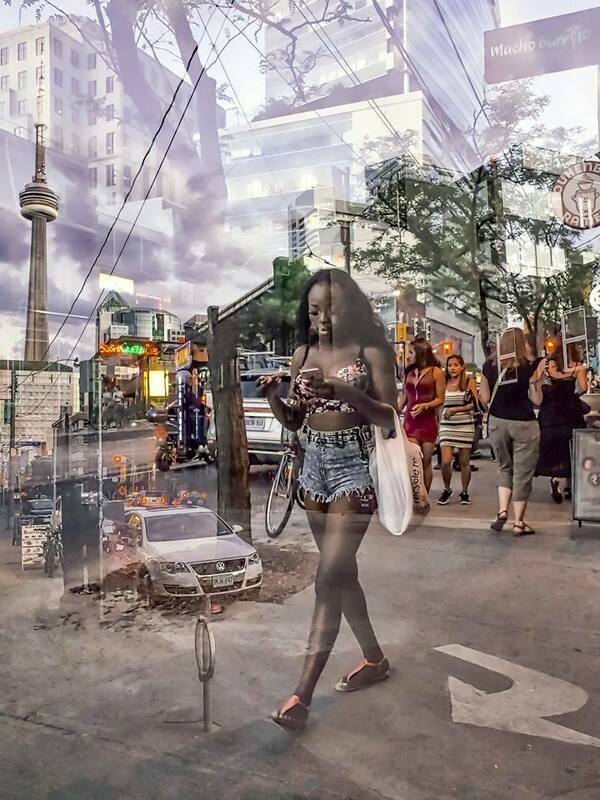 StreetsNBeats: Thank you so very much Theresa for sharing with our readers today! I really have enjoyed learning a little more about you and can’t wait to see some more of your amazing work!